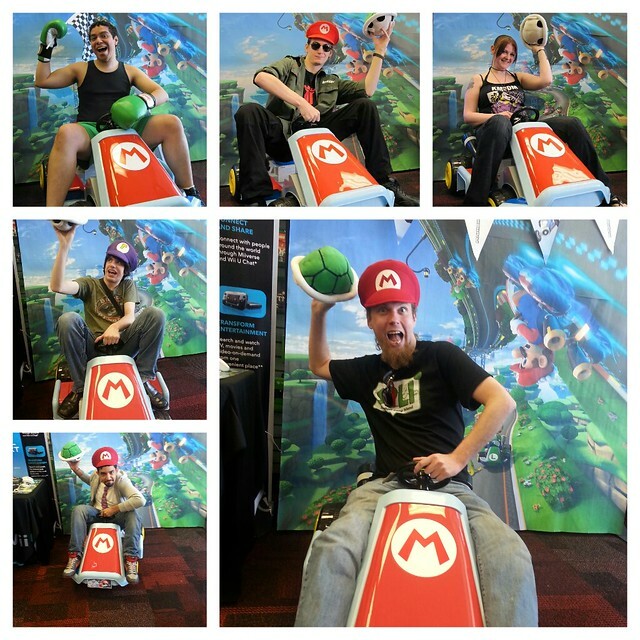 What You Missed: MK8 Test Drive Weekend! 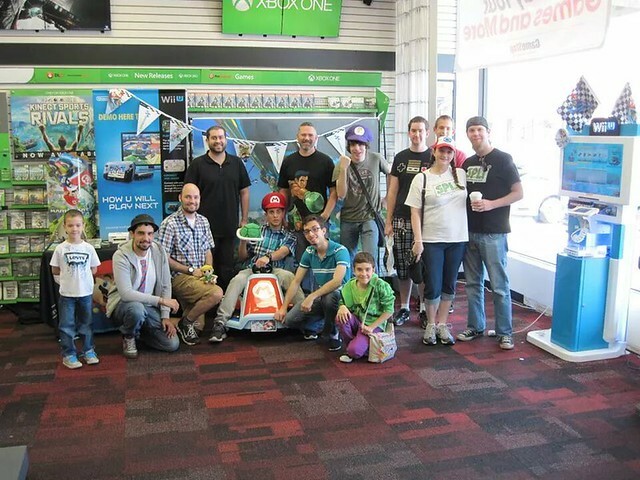 If you missed the Mario Kart 8: Test Drive Weekend, which was held this past weekend (5/17 – 5/18) at participating GameStop locations, then you are probably regretting it now! 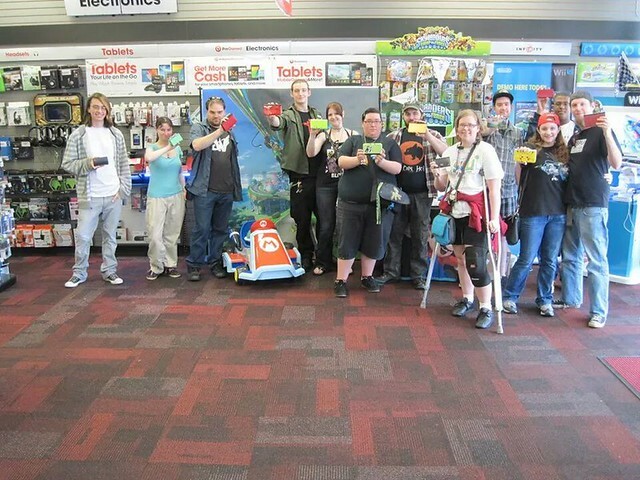 StreetPass Long Island members were treated to hours of demo gameplay of the newest installment of the Mario Kart series in Levittown and North Babylon, as well as fun photo ops and cosplaying! 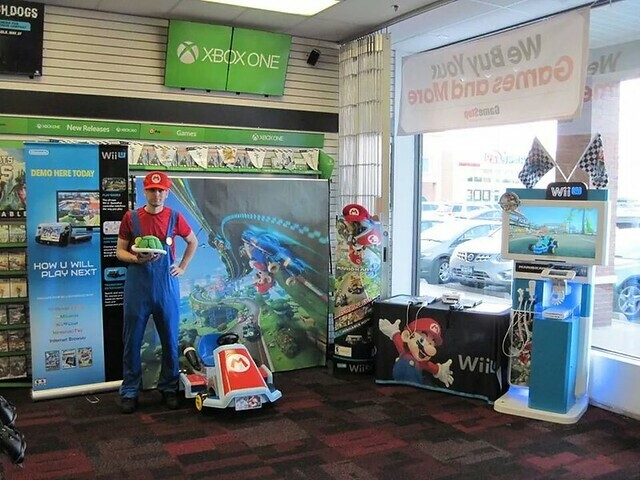 NoA Rep Derek and his awesome MK8 Display at GameStop Levittown! NoA’s Long Island rep Derek was on hand all weekend to get us all hyped up for the new game! He answered all of our questions about the game, staged a photo-op area complete with a [small scale] replica Mario Kart and backdrop, and he had multiple controller setups available so that we could enjoy some multi-player racing! Here are some photos from the event to give you a taste of all of the fun we had! Big thanks to everyone who came out this past weekend. We can’t wait until May 30th! 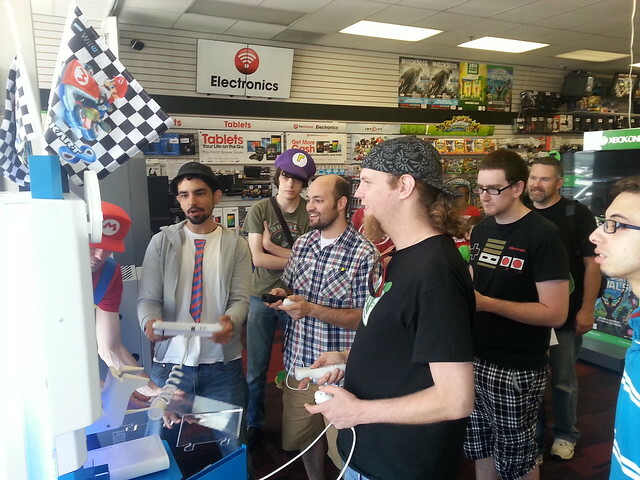 SPLI is eager to host lots of online MK8 tournaments when June rolls in, so stay tuned! Previous PostWhat You Missed: Mario Golf Mini Golf Tournament!Next PostSPLI “Tiki Cup” Go-Kart Race!